Fighting back, step by step. Our events are centered around fundraising, awareness, and the UBC Community! UBC’s Cuts for Cancer is an annual event in which students and the UBC community are given the unique opportunity to help those in the fight against cancer. Hair donations of 10″ or longer will be transformed into wigs for children who suffer from long-term medical hair loss, with monetary donations supporting the Wigs 4 Kids program at BC Children’s Hospital. Midterm seasons are finally over and finals have not started yet, which makes this a perfect time to relax and recharge! Come out and de-stress with us at our make-your-own succulent planter event! We’ll provide the plant/seed, the soil, the container (limited quantities only!! ), and tons of stuff you can decorate your own planter with! At the end of the event you get to keep your little plant too! Prices: Herbs/Spices – $2, Succulents – $3. You get a 1 dollar discount if you bring your own can or mason jar! Are you an undergraduate student looking to #GetIntoResearch? Curious what research is about? 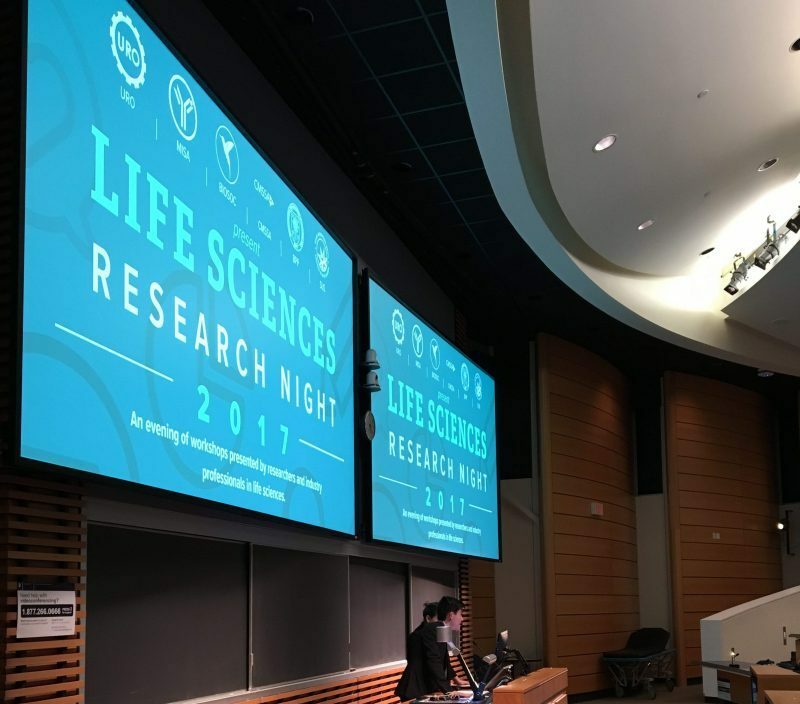 Come out to Life Sciences Research Night, a free, informative night to learn all about research in the life sciences and why you should join! Relay for Life 2018 is now over! thank you to everyone who came out to Relay at UBC! We all know we’re way too old to go trick or treating so everyone at UBC Cancer Association and the Relay for Life team would like to bring the treats to you instead! You can skip the awkward door staredowns by coming to our booth in the Nest and purchase a LOT OF TREATS for a VERY CHEAP PRICE! So when is this and where is this?  Details are right below! SEE YOU THERE! NO TRICKS! ONLY TREEEEATS! Thank you to everyone who joined us at the AMS student nest, for a night of fun, yoga and parfaits! This upcoming year’s event is yet to be planned – see you all there! Want to take a photo with Santa, or just give your friends the gift of holiday cheer, and brighten up the stress of studying for exams? Come by our booth in the NEST the last week of classes until December 1st (2017) (Weekends excluded) from 11 am – 4 pm! Climb For The Cause is a new event this year for UBC Cancer Association, which takes place at the bouldering room inside the SRC’s birdcoop. Make sure to reserve your spot by buying your $15 admission before the day! Last year’s event was a huge success! For the 2017/18 academic year, Climb for the Cause will be held near April as a part of Daffodil Month! This Daffodil Month, add a spring to your step with the Canadian Cancer Society’s Daffodil Dash – a 1k walk and 5k run (and don’t forget the mini dash for the kids!) that raises funds for cancer research and prevention and support for people living with the disease right now. The event will be taking place on Sunday, April 28th, 2019 @ Concord Parking Lot (across from Rogers Arena). Join our team UBC Fighter with our team captain Tracy Wong today through the link below. This page features event information which may not be fully finalized. Events that haven’t been confirmed won’t show up on this page yet. Please check our Facebook page for up-to-date information!